Woodlawn Needlework Exhibit, WOW!!!! | NJNA is Blogging! I hardly know where to start and what to leave out. First of all the “Frankies” designed by Michael Boren that were stitched by NJNA were on display on one wall in one room on the second floor. They were spectacular all seen together. There was also another Frankie by someone else on the same wall that completed that set. 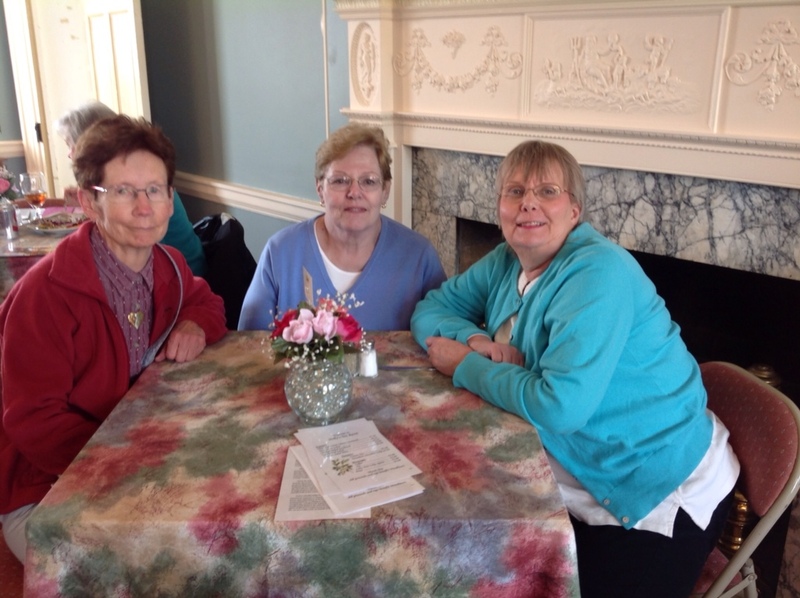 It was wonderful to hear the comments of visitors as they came in and saw them all in such a variety of colors. We had three winners in our group, Rosie L. took a second place, Linda M. and Sue C. both took an honorable mention in the multi stitch canvaswork. I was told that Michael Boren was told of this display. It is hoped that he will be able to see it. Looking through the catalogue of stitchers, I saw that Barbara L. had three pieces entered. Two were very pretty pillows displayed in the parlour on a sofa. Barbara's third piece won a third place in the multi stitch canvas work, but I was never able to find it! I had the help of three friends and several docents but no success. Before returning next week, we need Barbara to tell us what we are looking for. Congratulations to all exhibitors from NJNA! In the smocking room is the second piece that Kathy M. exhibited, a lovely dress with a smocked white bodice attached to a taffeta skirt and attached apron. It was so pretty. You will see several renditions of the Debbie Stiehler's 2013 STOM. One is made into a large flower with beads along two edges standing in a flower pot! Kurdy Biggs has two pieces on display for those of us who like her designs. You will recognize Susan H.'s sheep on two pillows in your wanders. There is a canvas work clock using beautiful buttons in place of the numbers. There are several pieces of animals and birds that must be Charlie Harper canvases. There is an original land grant document for land in Alabama signed by James Monroe framed with a reproduction of a sampler from the family. These have stayed within the family from the mid 1820's! 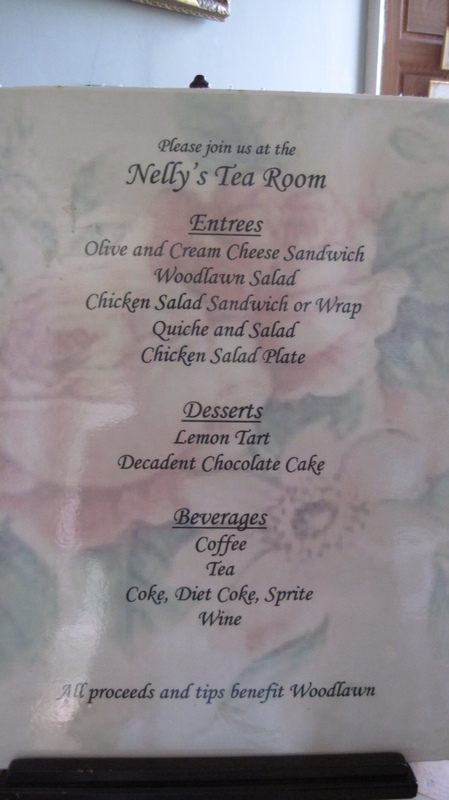 I could go on, but I want to tell you that lunch in Nelly's Tea Room is a worthwhile visit. 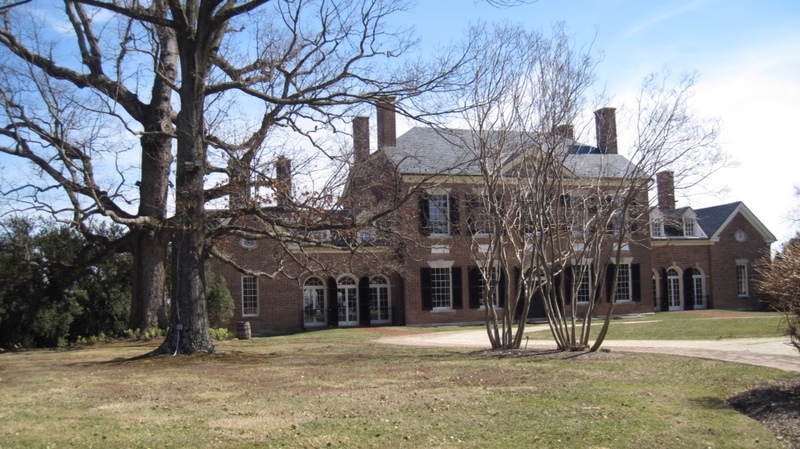 The food is good; any money made (including tips) supports the Woodlawn Plantation. I am so glad that I will be returning next week! What a wonderful report, Sue. Thanks so much for sharing it with us. Congrats Ladies! I’m heading down the last weekend of March. Looking forward to seeing everything. You will thoroughly enjoy your visit. I am looking forward to reading your take on this year’s collection.